Figure 7. 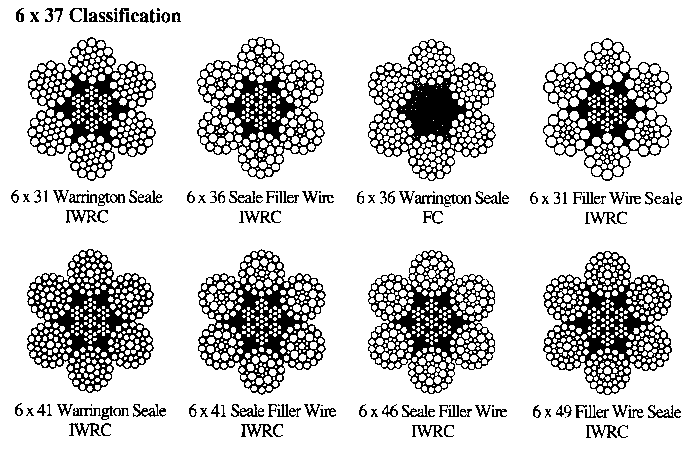 Cross sections of some commonly used wire rope constructions. Figure 8. 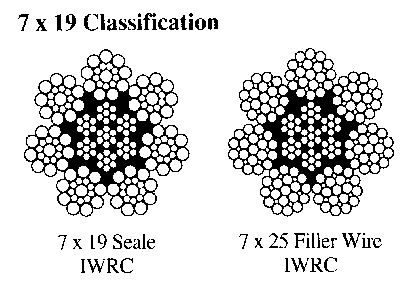 Cross sections of some commonly available wire rope constructions. 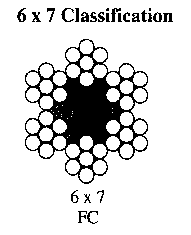 Many wire rope designs have been developed by the wire rope industry for use on special applications. Within the scope of this publication it would not be feasible either to list or describe all the possible rope design variations. Some of the more popular special constructions are described in the following section. Information is provided about the construction and mechanical features of these ropes to assist the user.